This month, we're more than a stone's throw away from Raleigh. 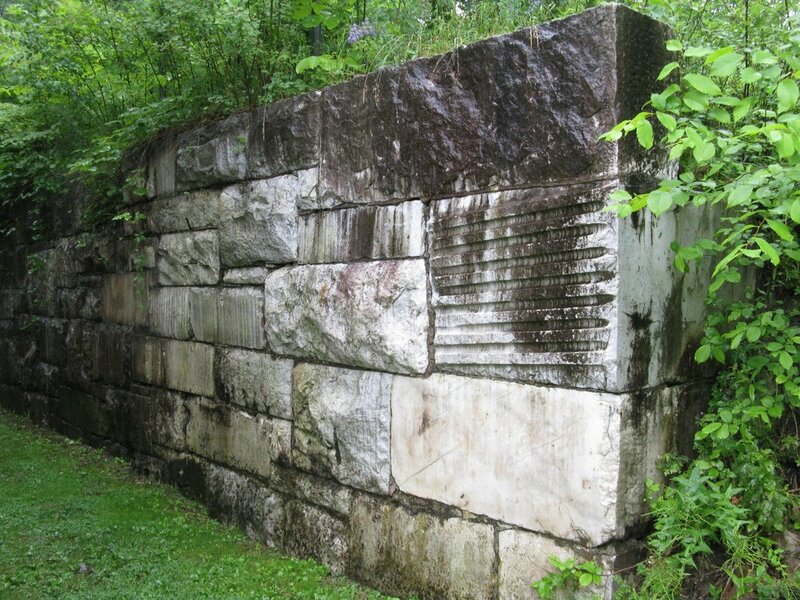 On a recent trip to Connecticut, we discovered the historic stonework along the Iron Heritage Trail. 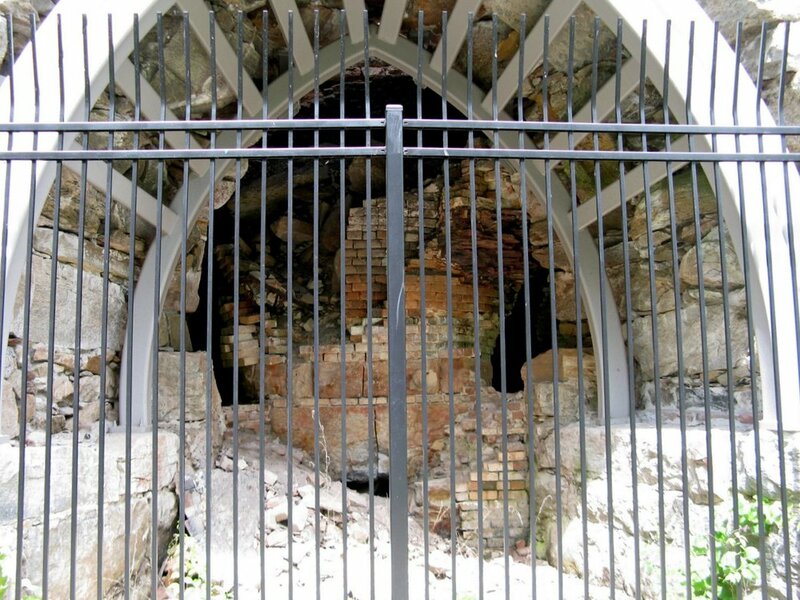 The Iron Heritage Trail is a series of 58 blast furnaces, lime kilns, forges, iron mining and mill sites in northwestern Connecticut and the surrounding areas of Massachusetts and New York. The Beckley Blast Furnace (above and first four photos below) is located in East Canaan, Connecticut. It was constructed of locally quarried marble in 1847 and stands 40 feet high. Originally built 32 feet high, you can see where masons added 8 more feet to the top at some point during its operation. Stabilization and preservation of the furnace was completed in 1999. The furnace is on the National Register of Historic Places. With an annual river walk celebrating local heritage, it's the centerpiece of the Iron Heritage Trail. Tuyere arches are found on three faces of the furnace. 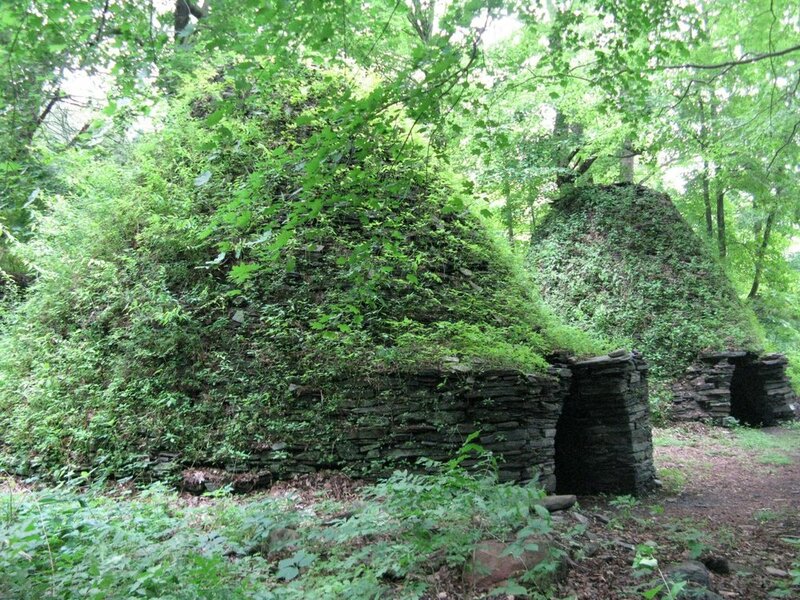 These conical charcoal kilns sit stoically along a quiet road in Amenia, New York. 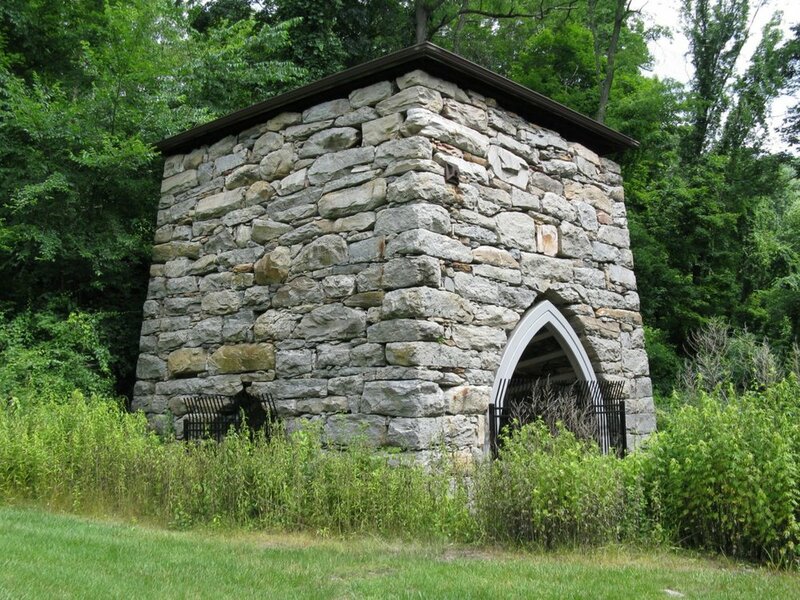 The restored Sharon Valley Lime Kiln in Sharon, Connecticut was constructed of coarsely cut limestone around 1880. Stone for the kiln was quarried on-site. The stack was stabilized with white oak timber binders installed at two levels. 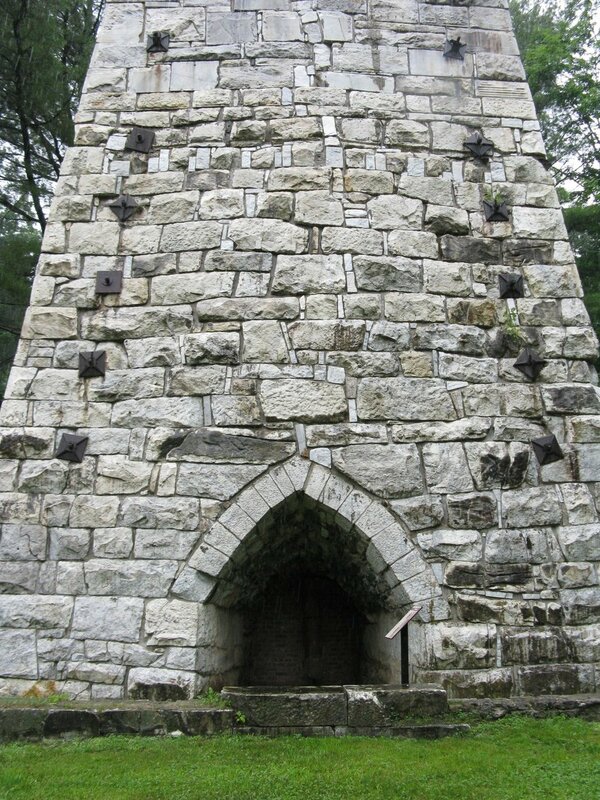 Kent Furnace, located on Route 7 in Kent, Connecticut was put into blast in 1826. The Iron Heritage Trail is a fun exploration if you love stonework, industrial monuments or history. Locals recommend viewing these sites in the spring and fall, as the heavy vegetation of summer can obscure the aging remains. Special thanks to Elizabeth Shapiro with the Sharon Historical Society. She was more than willing to share her obvious love of history with us even though they were closed for the day.